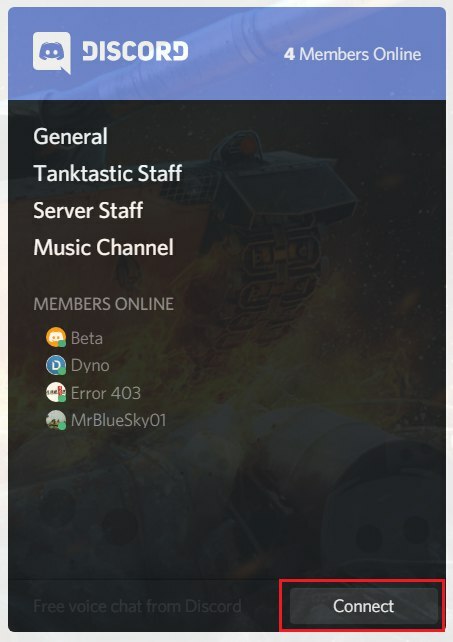 A Discord server related to Tanktastic was created by a few community members a while back, with the intention to gather players in an unofficial way and have fun, though the server was claimed to be "supported" and "official" by quite a few people. This server has turned out to be related to games in general, with no relation to Tanktastic whatsoever, the new title "Tanktastic Retired Server" also suggests as such. As remarked a month ago in the topic regarding this server, we have been informed of - as well as witnessed - instances in the server which we would not like to support; including, but not limited to, inappropriate and unacceptable behavior, namely "racial fights", "bullying", "naming and shaming", as well as how these different situations were handeled by the "owner(s)" of the server in question. These, as well as several other reasons that cannot directly be disclosed due to the parties involved, not to mention the proven personal interests of the "owner(s)" of the server that ultimately led to to its current status, we chose to make clear through an official statement that the server is not affiliated with Tanktastic, nor is it supported - by any means - by Tanktastic or its resources. This because some of the server’s members have been providing false informations regarding the server to other community members, that it is in fact "supported" or "official". That being said, we now have created a Discord server explicitly for this game; this one being supported, but not official, as Discord is, obviously enough, an unofficial resource. Here you may gather and chat, speak and have fun with other fellow players, get news, informations and announcements officially posted on the forum, as well as get a quick and efficient moderating support, thanks to the built-in push-notification system. If you report in-game violations in the corresponding section of the server for immediate action and as a temporary solution, you must remember to file a formal report, eventually at a later time when you have better time, in the "In-game Reports" section of the forum, in compliance with the current administrative guidelines concerning the reporting procedure. On a side-note, you are free to discuss anything not related to Tanktastic in the given "off-topic" section. otherwise one may do as one pleases. Sure. But ehh, how do you want us to join? You may join by clicking the "Connect" button inside the Discord widget which can be found in the first post. Temporary link. Please, do not worry; we will ensure and enforce that this does not happen in this server.